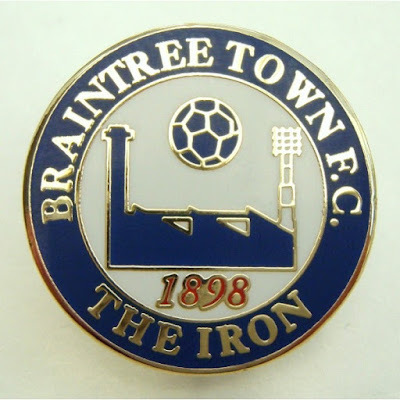 The club were founded in 1898 and have gone through a number of name changes in their history being known as Crittall Athletic, Braintree & Crittall Athletic and Braintree before settling on their current name in 1983. The club were founder members of the Eastern Counties League in 1935 and largely remained part of that competition for around 50 years despite a few sideways switches over the years. After a series of great finishes in the prior years a 2nd placed finish behind Wisbech Town in 1991 was enough to see them promoted to the Southern League. 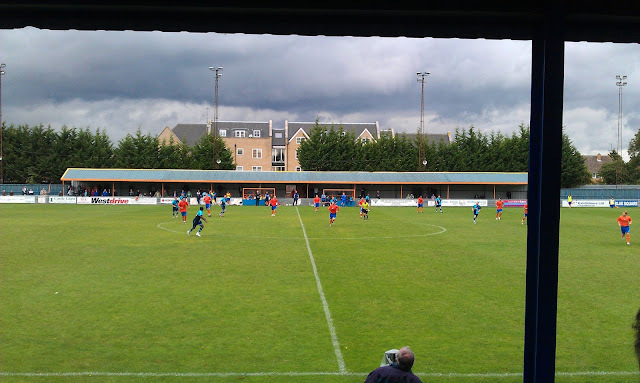 A best ever placing of 4th in the Southern Division was attained in their first season but 1996 saw a switch to the Isthmian League with them having to drop a couple of levels to cut down on travelling costs, They went through that league like a dose of salts with 2 promotions in 2 years seeing the return to the level that they had left in the Southern League a few years prior. Promotion to the Isthmian Premier followed in 2001 and despite a poor season in 2003/04 they were generally successful. Luck was in for them that the formation of the Conference North & South meant that they avoided relegation despite finishing second bottom. 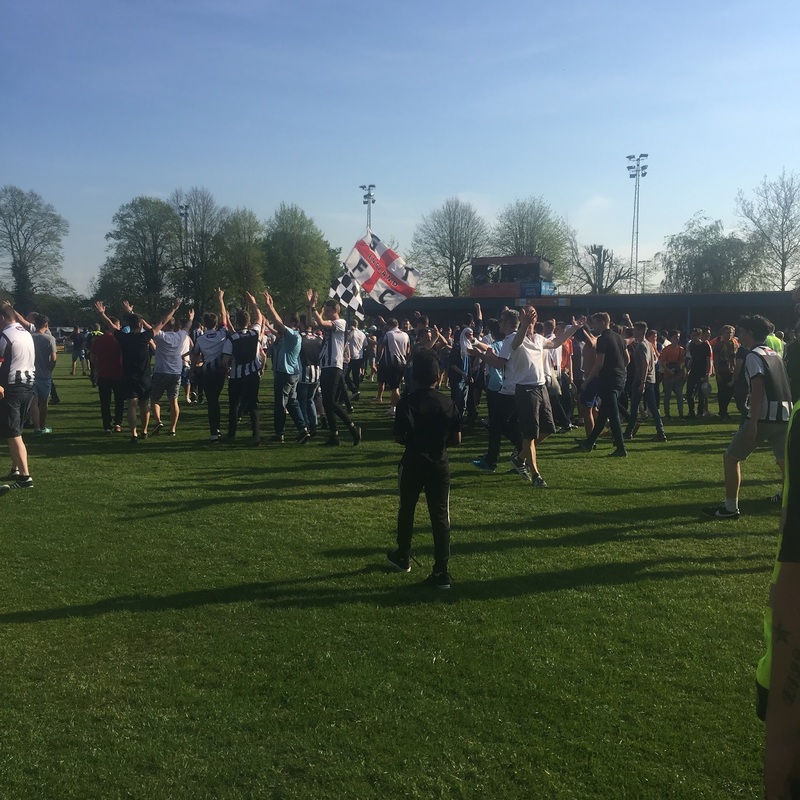 They'd go on to win promotion to the Conference South in 2006 as Isthmian Premier Champions and after adapting well to their new surroundings they achieved the feat of promotion to the Conference National. 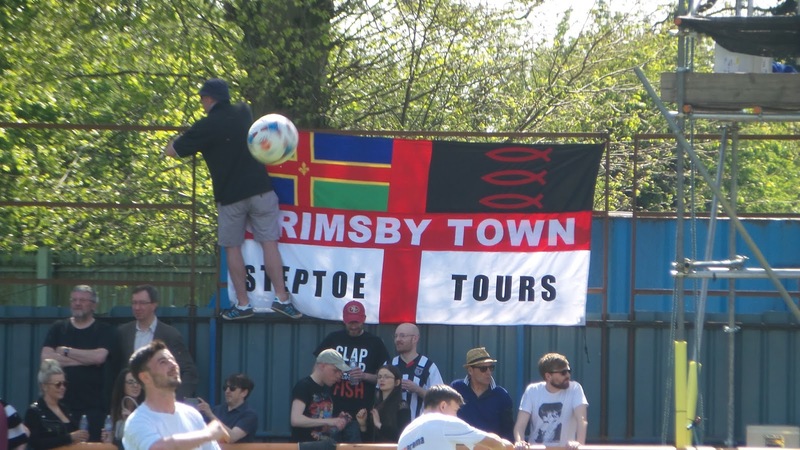 That was not the end of the story though as they have been solid since, hammering the recently relegated Grimsby Town 5-0 in their first season. This season has evoleved beyond their wildest dreams. Things looked dicey when heroic boss Alan Devonshire resigned in the summer but new manager Danny Cowley has done a terrific job along with his brother since joining from Concord Rangers. As if having a chance of playoffs on the final day was not enough, a comprhensive 3-0 win over Altrincham and results elsewhere saw them finish 3rd, ahead of many more established sides. 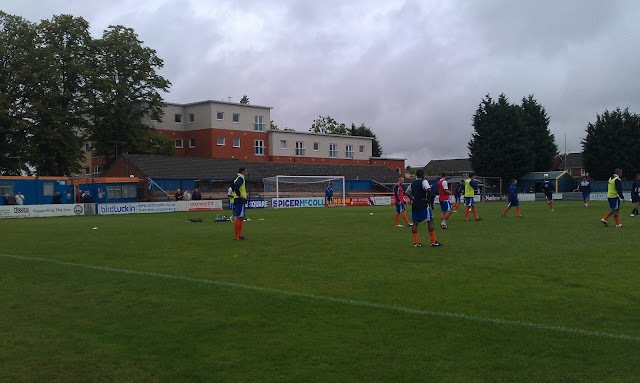 In the FA Cup Braintree have reached the 1st Round on a number of occasions and this season's showing when they took in form Oxford to a replay will be amongst the most memorable. The FA Trophy saw success in 2001/02 when they lost in a 5th Round replay to Margate after getting very close to a shot at a Wembley appearance. 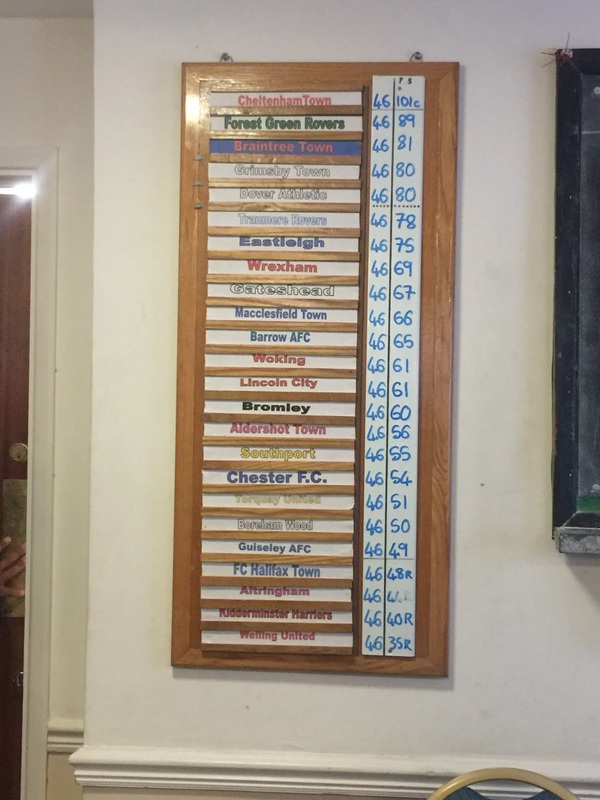 In terms of local competitions the most recent win came in 1996 when they won the Essex Senior Cup with the Essex Senior Trophy and Eastern Counties League Cup also amonst their honours. 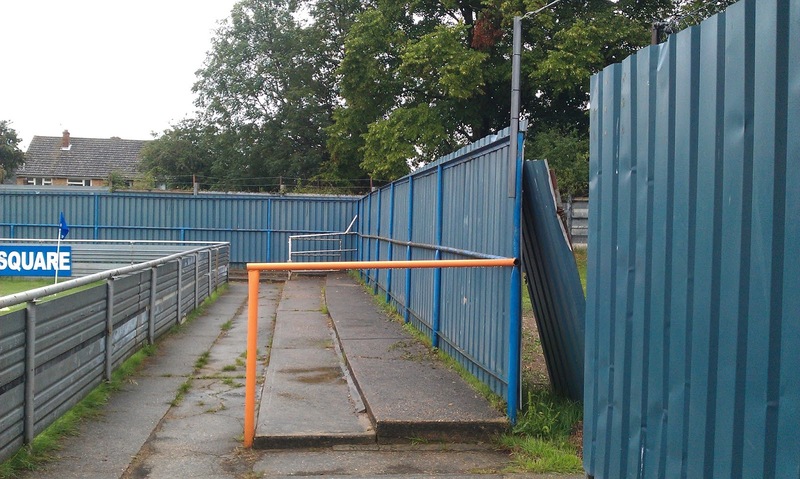 I first visited Braintree's Cressing Road ground in October 2010, just to take pictures. I was on my way to Wycombe's Football League Trophy game at rivals Colchester United and was doing my usual thing of visiting a few grounds along the way. The opportunity arose to visit the ground properly, for a game when Wycombe announced they would be playing a pre season friendly there. I was not too many grounds off completing the Conference, so this was a welcome opportunity to visit one of the remaining few. In contrast to the sunny and dry conditions I had experienced on my first visit, it absolutely tipped it down on the journey down. This meant I had to leave my visit to take pictures at Sawbridgeworth Town until after the game, that is unless I fancied getting completely soaked. It also meant that the journey was a lot longer and slower that I had anticipated. 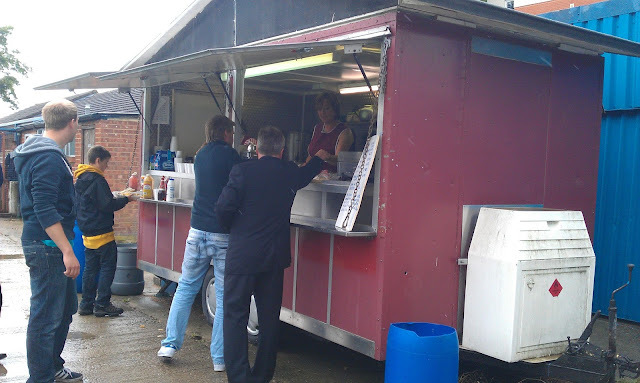 I eventually got to the ground at 1:20 after a 2 hour journey, fortunately by the time of my arrival, the worst of the rain was over, so I made my way to a pub across the road, the Orange Tree, which provided a much needed pint and a very nice Roast Beef and Yorkshire wrap. By this time it was getting on for 2PM, so I made my way over to the ground and took a few pictures of the outside. I then paid my £10 entrance money, plus a programme for 50p, which was cheap, but short on content. A bit like the match, but more of that later. 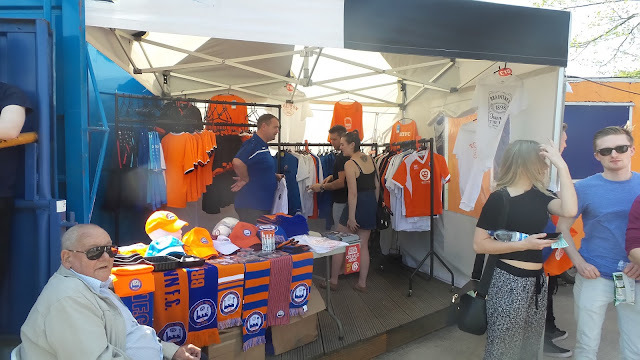 There was an excellent club shop that sells a good range of programmes for cheap prices. I managed to get myself some fanzines and a programme from last season's Hayes & Yeading v Wycombe Wanderers FA Cup game, all at only 20p each. I also managed to nab myself an old pennant from in the window. It was a bit old and faded, and in the old club colours of yellow and blue, but hey, it only cost me a quid! The game itself was a very drab affair. Wycombe fielded a mixed XI with quite a few youth and reserves and Braintree's side also included a number of trialists. 3 ex Wycombe men featured for the home side. Dreadlocked keeper Ashlee Jones, who spent a few months as reserve keeper during the end of our promotion season under Peter Taylor was in goal. Former youth teamer Scott Shulton and winger of a couple of games Kevin McCleod also took part in the game. McLeod looked as old and past it as he did in a Wycombe shirt though, so it's doubtful that his trial with have a successful conclusion. 2 goals from former Hayes and Yeading striker Ben Wright was enough to win it for Braintree, though a Gareth Ainsworth goal sandwiched between them reduced the arrears for Wycombe and made the final score 2-1 to the hosts. Thankfully the journey back was a lot more pleasant and dry. I took the opportunity to call in at Essex Senior League side Sawbridgeworth Town on the way back. Upon approach to the ground I could hear loud music and could see lots of cars parked alongside the road and in the car park. It turned out they were having an event - “Party on the pitch” which prevented me from going in and taking pictures, unless I fancied paying a tenner for the privilege. So I just took a couple of the outside and made my way home, in a far quicker time than I had arrived, even with the detour. 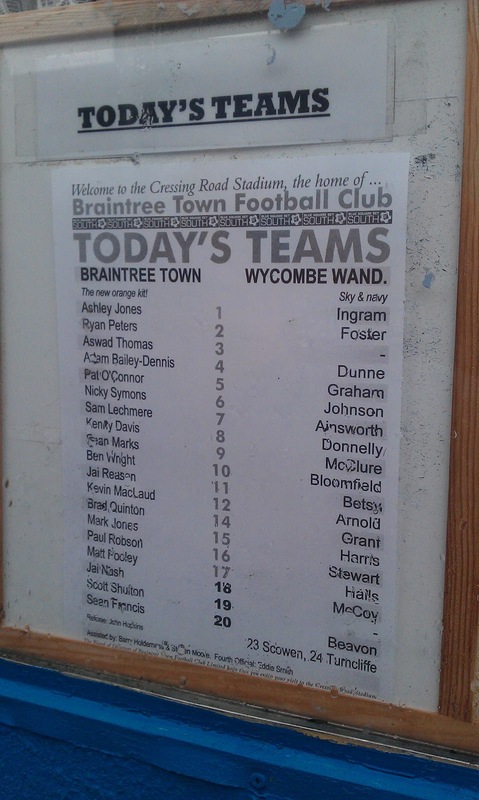 I'd initially visited Braintree as a viewer of games rather than a groundhopper as I'd gone to see Wycombe play there. 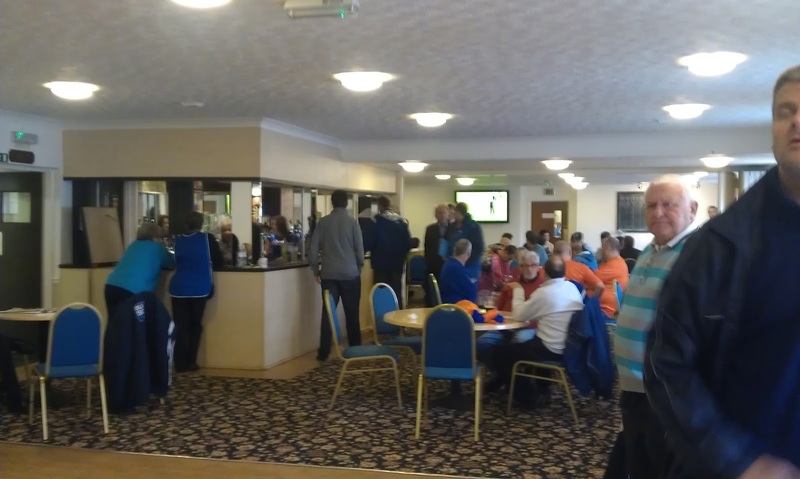 Quite soon after I became a groundhopper and met some great people from all sorts of teams. Two of the better fanbases I encountered though were those who were the 2 that contested today's playoff game and I'd had several meets in the past few years. 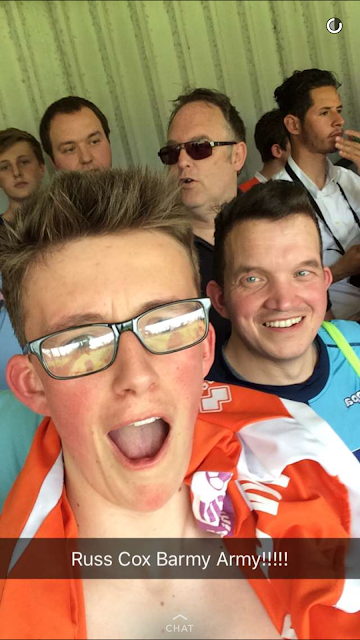 I had huge respect for both sides, though today my colours would be nailed to the Braintree mast as my mate and fellow hopper Daniel had gone to the trouble of getting me a ticket with no sales on the day. I'd been on several groundhops in the Eastern Counties League with him and his cousin Maurice, but I'd not seen another Braintree fan, Dan, since last May at Coggeshall so it would be a good chance to catch up. I was also looking forward to meeting some Mariners fans, whom I'd not seen for even longer. 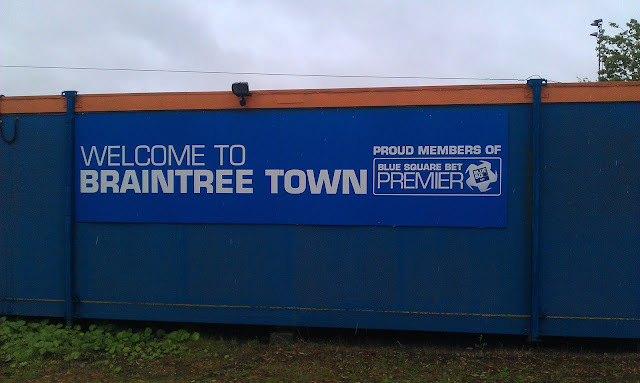 Braintree had the upper hand going into the tie, having won 1-0 at Blundell Park last Thursday. On the morning of the game I awoke pretty tired which is standard form for a Sunday morning after staying up to watch Match of the Day on a Saturday night. It was a busy first half of work, especially with sicknote staff having spent Saturday night on the pop and therefore not turning up. For a moment I feared a repeat of the last time I tried to leave work and travel east on a Sunday - it ended up with me missing a match at Halstead as I had to stay on at work for so long. It was not helped by my manager dragging his heels on making the later work available and so I sang a few foul-mouthed ditties about him quietly to myself to ease the tension. Thankfully the latter half of the day was a lot easier and I sailed through it. In wasn’t sure if I would be required to help others again so I discreetly purchased the Non-League Paper and went upstairs, getting changed before leaving at 10.30. The journey over to Chelmsford was mainly good - the M25 was knackered on the other side but thankfully traffic was light enough for rubber-neckers not to cause a delay. There was also an incident on the A12 which made Chelmsford very busy and due to the various restrictions I couldn’t get to the car park I wanted. So I had to make do with another nearby one and the sting in the tail was that the buggers charged me £2.20 for my 48 minute stay. I did what I came to do though, going to the Essex Cider shop to stock up on some top quality apple drinks. Initially I was hoping to tick the other Wetherspoons in the town and have lunch there but time constraints meant that I had to make do with Taco Bell. As Claudio Ranieri would say ‘Dilly Ding, Dilly Dong’. That filled a gap and was tasty at the same time. I eat the food as I was walking back to my car and initially I was worried that the issues on the A12 might affect me. Thankfully though the journey was fine and I was parked up in a side road near Braintree Town at around 1.20. My first job was to get my ticket off of Daniel, that I did before waiting outside to meet some Grimsby fans, all great lads who I have met before. At 2PM it was time to go in and after settling up the money for my ticket I went in the bar and got myself a pint of Strongbow for £3. It was good value and boy did I need it as the bar was like a sauna with it being a hot day and there being no air conditioning. From there I met top with Maurice and later on Dan with me having a good catch up with both. There was a terrific atmosphere from Braintree and I loved joining in, even making up the chant of ‘Captain Birdseye, he slept with your Mum’ to add to the fish based insults that were hurled at the visiting Mariners. It was all in good humour though. The game saw Braintree reminding me of my own team Wycombe, a very defensive setup, aimed at not conceding a goal. 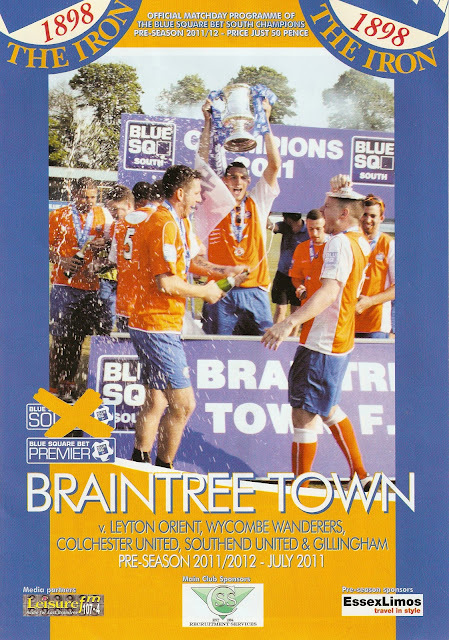 That they managed masterfully for a very long time but eventually the stifling heat took its toll in the Braintree players. They’d already been second best and on 63 minutes the Mariners took the lead with a Nathan Arnold penalty following a foul in the area. The Iron’s cause was not helped when former Wycombe trials Mark Phillips got his marching orders for a second yellow card to put them even more up against it. Just as Braintree thought they might take it to penalties, up stepped Omar Bogle to net the winner 20 minutes into extra time. That just roused the Braintree fans even more to support their team, but sadly for them despite they and their teams sterling efforts to get them over the line it was;t enough against a professional Grimsby outfit. They can be justly proud of themselves but well done to the Mariners who will hopefully seal promotion next week at Wembley. On the pitch at the ends there were hugs and handshakes between the 2 sets of fans, sadly in the big crowd I couldn’t find any of my pals to say goodbye to. I walked back to my car, leaving at 6.10. On the way home I listened to the 5 live phone in, getting back at 7.20. 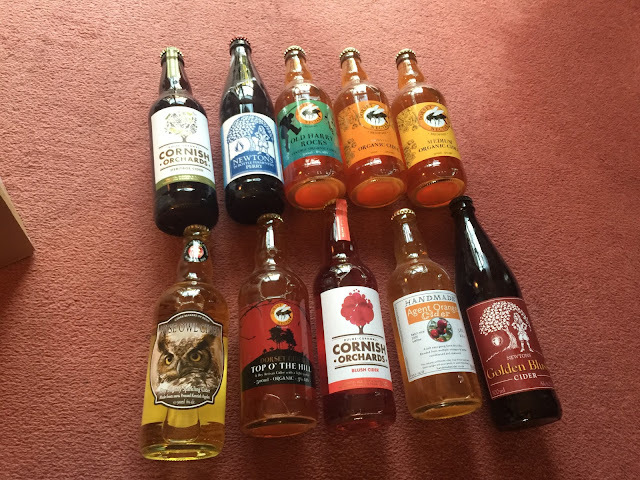 It had been a good day in great company and I had a couple of the ciders I had purchased as I chilled for the rest of the evening. CRESSING ROAD was one of the smaller grounds in the Conference based on my 2011 visit, so it will be a big ask for it to host league football. 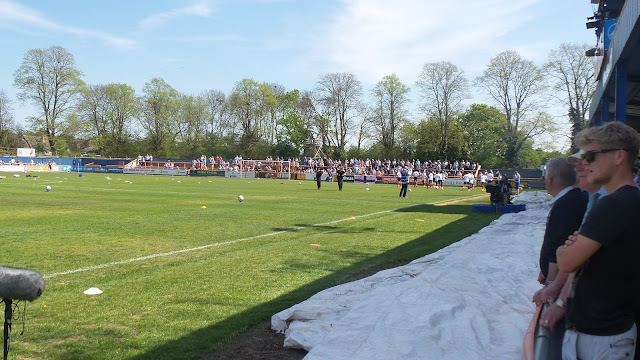 The only seated area holds around 500 and there are a further 2 covered stands behind one goal and along the side with enough space for around 2000 fans. 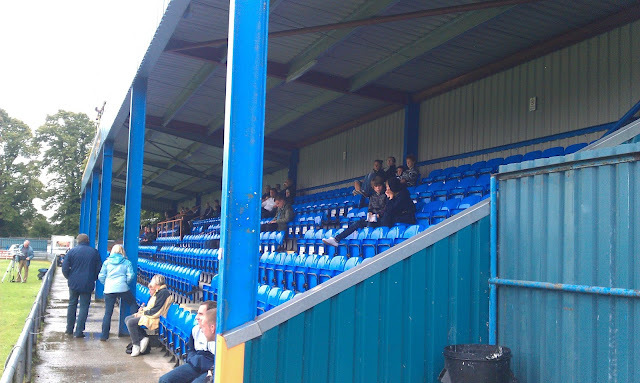 The rest is open terracing with a maximum capacity of 4500. 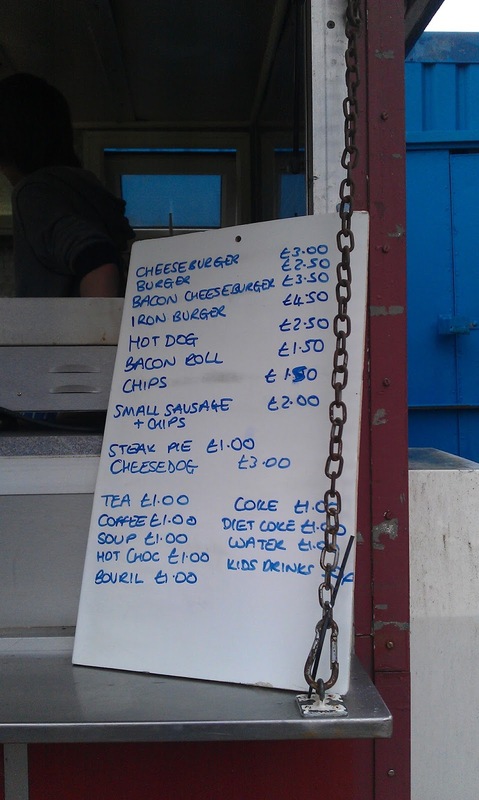 The bar is a pretty standard one for football clubs though the tea bar is better than most with a wide range of food at good value prices. The club shop is the real gem, a treasure trove of random goodies in the form of old programmes and other stuff. There is also a decent pub across the road called The Orange Tree though if you want more Braintree Freeport train station is not far away and is bound to have a decent selection of outlets. My second visit revealed the absence of the cover at the Quag End and I couldn't find the programme shop that used to be there. 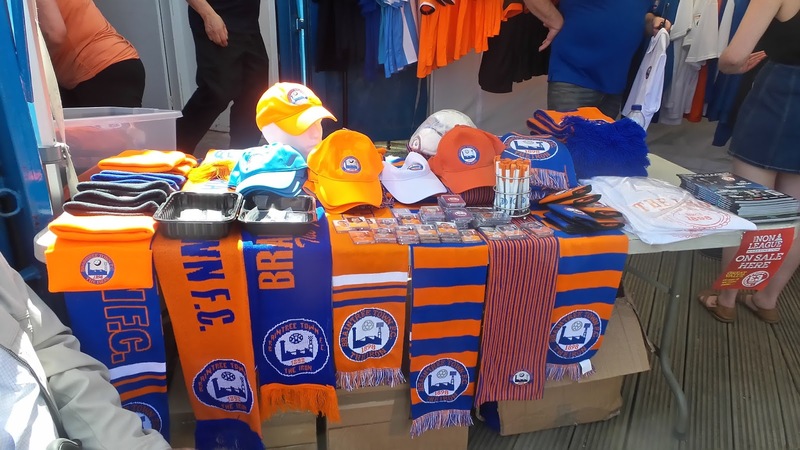 There was a good range of merchandise in the corner though, sold outside on a table. Strongbow was the cider in the bar with several bottled choices and some extra terracing had been added. 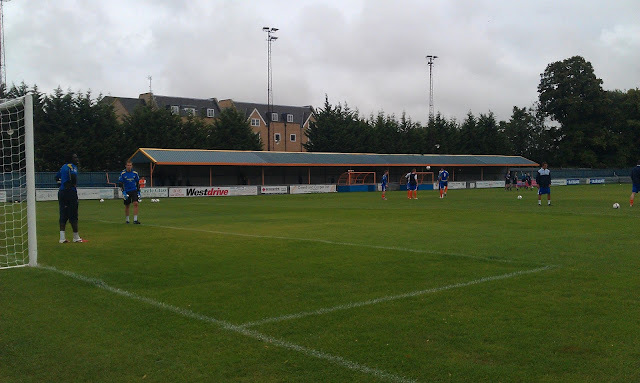 All in all, a great club with great fans, and well worth a visit, even if the surroundings are not the most palatial. excellent photos and an enjoyable read. Have wanted to visit this ground but somehow never managed to make it inside despite driving past it on a few occassions.